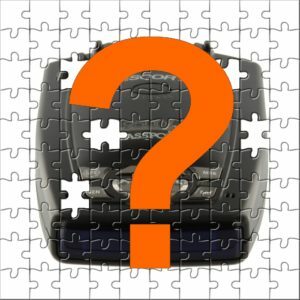 So, you want to buy a radar detector, but you don't know where to begin. You're not alone. It's a common dilemma faced by many drivers, usually after they've received an unexpected and very expensive speeding ticket. Indeed, choosing the right radar detector is very important, as it can mean the difference between getting a ticket protector, and ticket collector. There are many radar detectors on the market, and they vary greatly in form, features, and function. There are some good detectors, and some great detectors. There are also some marginal models, and some very poor performers. Not surprisingly, there is also a wide variance in price. There are premium priced radar detectors with premium features, and low priced models with few or no frills. But don't let the prices fool you. There may be more value in that discount detector than detectable by the lower price. Conversely, there are a lot of bells and whistles (pun intended) on current high priced models, some of which are important and some of which are not worth your money or your time. Just because it costs more doesn't necessarily mean it's the best radar detector, or even a good detector for you. So, how do you choose? Before you plunk down some serious dough for a detector, it's important to know how to choose the right detector for your situation or your needs. When choosing a radar detector, here are the key differentiators to consider. We're going to start with the hard one: range. The range, or what some manufacturers term the performance of your detector, directly determines how much time you have to react to a radar alert. Range refers to the distance a radar detector can detect a potential radar threat. The farther away it can detect the radar, the greater the range. The greater the range, the more time you have to react. You need to know that there is a police officer ahead before he has a chance to get your speed, and a half mile of warning is much better than 500 feet. Okay, so what is so hard about range? It's not an easy thing to measure, so most people aren't going to be able to figure out for themselves if one radar detector has better range than another. If you search around for performance information online, you'll find that most of the published results are performed by companies paid by detector manufacturers, radar detector dealers, or affiliates of dealers. How can you trust results when there is possibly a big incentive for a reviewer to be dishonest? You're starting to see the problem. So, what do we recommend? Don't simply rely on the words "high performance" printed on the box. We think the best route is to study the results of several tests and look for consistent performers and outliers. This one may be listed second, but it's just as important as range. Police radar guns use X, K, and Ka band radar, but they're not the only devices that use these radar bands. Automatic doors, traffic sensors and driver assist features on other vehicles are just a few possible sources of radar detector interference. If your detector isn't properly filtering out this interference, you're going to hear dreaded false alerts. What happens when your detector gives you lots of false alerts? That's right, you'll train yourself to ignore them all. This is a bad habit, and a potentially dangerous one, because the next alert you ignore could be your next ticket! If you're going to buy a radar detector, get one that you can trust. You'll thank us later. GPS is not an absolutely essential feature, but if you have room in your budget then we would recommend it. The following are several nice features that are enabled by GPS, but please note that not all GPS enabled radar detectors support all of these features. Camera Database - A built-in, updateable list of the locations of fixed red light and speed cameras in the country. Red light cameras don't use radar or laser, so keep in mind a radar detector alone will not detect or alert you to them. Marking False Alert Locations - A false alert can be blocked based upon the location and the band. If you drive the same route often, this can seriously cut down on noise. Speed Based Alerts - GPS enabled detectors know your speed, so they can lower sensitivity or mute themselves when you're stopped or driving slowly. The ability to connect to a smartphone gives a detector access to the internet. From there, it can share your alerts to the cloud and bring down alerts from other drivers. This has the effect of extending the range of your detector. Some radar detectors use the phone to provide GPS data. This allows them to offer GPS features without the need for a built-in GPS chip, which can save you money. You'll see some detectors with fancy, large, full color screens. While those are certainly nice and easy on the eyes, we wouldn't classify the display as a critical feature. Remember, you're driving. Your eyes should naturally be focused on watching the road, not your radar detector. As the responsible driver you are, you'll be listening much more than watching. More important than general screen fanciness is its visibility and how it handles glare. This is not a critical feature. Radar detectors with directional arrows will show you which direction that the radar detector signal is coming from. It is nice to know if the officer is behind you or ahead of you, but only the most expensive models currently have this feature, so for many it might not be worth the added expense. Bonus tip: in order for a radar detector to know which direction the signal is coming from, it has to have both a front and a rear facing antenna. Most detectors only have a front facing antenna, so getting a model with directional arrows should also mean you're getting great rear range! Don't choose a radar detector model just because it also has a compass. While it can be a useful feature for general navigation, it isn't needed for a radar detector to operate effectively, and it won't help you avoid a speeding ticket. If you want a compass that badly, just buy one. They're cheap. Choosing the right radar detector isn't rocket science, but it does require more effort than referencing a simple comparison chart or a list of prices. You need to consider range, filtering and other key functions, decide which features you really need, and work within your budget from there. By extending your range with research and filtering through the hype, you can choose the right radar detector that will be your ticket protector. This entry was posted in Radar Detectors, Articles and tagged compass, GPS, choosing the right radar detector, radar detector range, radar detector filtering, direction arrows on February 5, 2019 by Rick.